- Help your furry friends feel their best with on the go checkups! 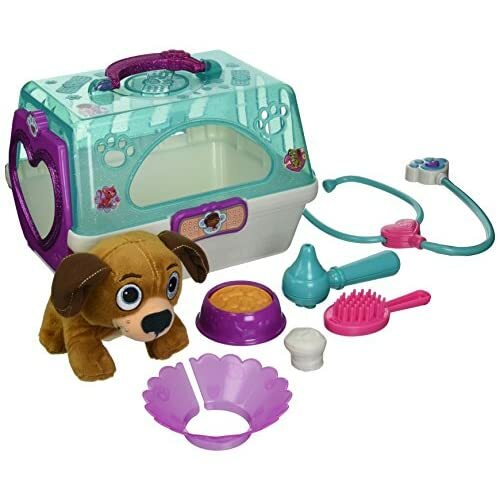 the new toy hospital on the go pet carrier from Disney junior’s Doc McStuffins comes with either the loveable Findo or the adorable Whispers! the carrier features fun glittered accents and holds every tool you need to take great care of your precious pet pal, including a stethoscope, pet hair brush, bottle, otoscope, and water and food bowls!